Traditionally Kabbalah has been passed down from teacher to student and that goes doubly for its secrets, guarded by righteous souls, tzaddiks, from the corruption of man’s evil inclination and from the erev rav (Mixed Multitude) that would stop at nothing to put and end to the flow of this secret knowledge of hope and salvation. In the words of Rav Abraham Abulafia, we can reveal only the secrets we’ve been given permissi0n to, which is why each tzaddik revealed publicly through their writings only some of their knowledge and concealed the rest in private lessons from select teacher to select student. And this is the way it was since ever since Adam and Enoch. Some tzaddikim of blessed memory revealed much more than others and caused seminal changes in the way kabbalah was learned and studied, like Abraham Avinu and his Sefer Yetzirah (The Book of Formation), and Rabbi Shimon Bar Yochai with the Zohar (The Book of Splendor), and Rabbi Chaim Vittal with the Writings of the Ari, and Rabbi Abulafia with his many books, and finally with Rav Yehuda HaLevi Ashlag (H’Sulam) whose translation and commentary on the Zohar opened up Kabbalah for our generations. 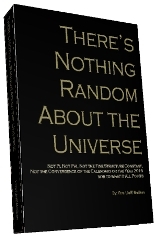 The prophecy of Mashiach’s arrival and the geula in the year 5778, which we’ve supported in dozens of blog posts, numerous articles, and in the books The Divine Calendar, The Genesis Prayer, and There’s Nothing Random About the Universe through thousands of citations, Torah revelations and explanations was passed down through the ages and eventually to me from my teacher from his teacher and uncle, HaRav Yehuda HaLevi Ashlag (H’Sulam) of blessed memory. And with only 9 years to go, we’re passing it on to you. 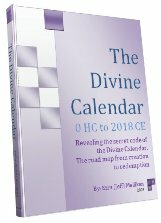 Based on the ancient prophecy that the Messiah would arrive in the 6th millennium, it was determined that there was a total of 6000 years, which they divided into 3 periods of 2000 years each, (recall the 8th of the 13 attributes (Midot) “Notzer chesed l’alefim” meaning, “He preserves kindness for 2000 years”). The first two periods of 2000 years passed well and good, bringing us 4000 years deep into the prophecy, which is 4000/6000 or 2/3 of the way through it. It’s important to note that 2/3 is the same as .666666, and that the real meaning of 666 is 2/3, which is the spiritual distance that we must travel up the 6 midot (sefirot/dimensions) of Zeir Anpin, which is the bundled 6 dimensions of heaven that link our world to the upper worlds. And 2/3 of the way through the dimension of Tiferet (associated with Jacob) is where the boundary between the world is found, the boundary that klippot (negativity) cannot penetrate. This is where the lowermost extremity of the intellect (personified in Leah, meets the uppermost limit of the physical/emotional personified by Rachel. It’s where the two drops from below rise up to meet the one drop from above, where our work and faith meet the blessings. It’s a spiritual tenet that no matter how far we go, we still have to travel further, an endless string of 2/3 journeys, each a platform to build the next level. We’re in the final third, the final 2000-year period, which they further broke up into periods of 666.666 years each, or exactly 1/3 each of 2000 years. As it turns out, when you start counting from the birth of Adam, 2/3 of the way through that last 2000-year period, or (.666666 x 2000), we get the year 5333, when the Arizal, Rabbi Isaac Luria, passed away, which is why in our blog we constantly point out the encoded Torah connections to the Arizal; never mind, that without his help, we’d still be in the dark ages as far as Kabbalah is concerned. This leaves one last period of 666.666 years and just as they had twice before, they took 2/3 of the remaining period for a 3rd time and got 666.666 x .666666, 444.444 years. And adding these 444.444 years to 5333 gave them 5778. Since they rounded the figures off in their heads the decimal places are irrelevant. I hope this satisfies all who have requested information about the source of the prophecy. Permission had not be granted until most recently to reveal this to the world, but more importantly, you are all now emissaries of the light of the unbroken chain. Secrets not shared for thousands of years are now available to you for sharing. And for using to transform yourself (ourselves) and our world. This is not an intellectual debate. Spiritually, we don’t even tap directly into the intellect (though we delude ourselves that we do). We can only achieve things through actions, our actions. If we go 2/3 of the way, the light does the rest, the caveat being that we don’t know where the 2/3 point is, so we have give 100% effort 100% of the time. With 9 years to go until 5778, we need to all be links in the unbroken chain; we need to take up the mantel of the tzaddikim and base our lives on giving, not receiving; sharing, not despairing, and teaching, not preaching. We’re all at different placing in our journeys and all have different G-d given talents to bring to the table, and those are what we need to share, but no matter what our journey, none of us are yet 2/3 of the way there. We’ve all got a long way to go, and there’s world of people who need our help.